“I was so excited to have Vicki Preston from Paros Greece email me in 2012. She had discovered my Certificate Course through Deb Chitwood’s Blog LivingMontessoriNow. 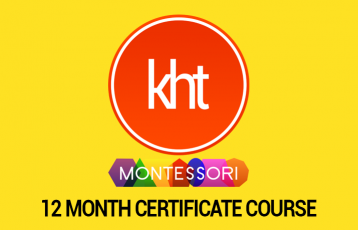 Deb is from Colorado Springs and completed this online training 2 years ago before I launched KHT Montessori. Vicki sent me an email and shared the “Paros Montessori Project” that she and a friend (foreign language teacher and NAMC trained) were committed to. 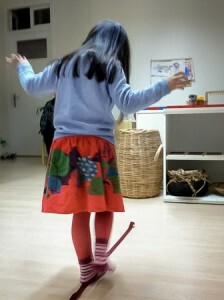 They had been managing a small pre-school Montessori class and an afternoon lower elementary program for the past year. They had three AMI directresses help assist them to get started. They had come to a point where they wanted all the staff to be trained and to have a standard set of Montessori Manuals. She was so genuinely excited about the online Certificate Course I offered and how affordable it was….that she posted the details in her parents’ group and immediately emailed me with a total of 14 people to take the online course. I have found Vicki a creative and loving person dedicated to sharing Montessori on Paros! 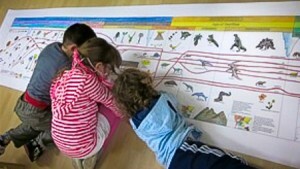 Every member of the Paros group continues to do everything possible to “grow” Montessori on their island. Greece is front and center on the world stage these days, with many disturbing reports in the international press about the financial crisis and the harmful effect it is having on so many aspects of everyday life for the Greek people. Yet in one village on a small Greek island in the middle of the Aegean, a group of parents and educators have come together to defy the “crisis” and to give local children the chance to benefit from a first-class Montessori education, thanks to KHT Montessori and the incredible support of other dedicated Montessori educators around the world. As if by magic, that same summer, completely independently, a young and dedicated teacher, Katerina Tsounaki, had equipped a classroom with Montessori materials (incredibly, the items she bought perfectly complemented the ones that Vicki and her husband had bought) at her language school in the village of Naoussa on Paros. Katerina, a teacher of foreign languages with many years of experience, had recently completed an online Montessori training and it was her dream to introduce the Montessori method to the island community. They began to work together to make it happen. 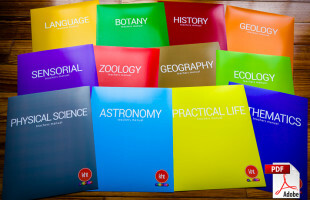 One of the ways that Linguakids Montessori hopes to be able to continue to fund the project until Greece is out of the financial woods is to appeal to families around the world who dream of taking a sabbatical and traveling but are uncomfortable with the idea of homeschooling their children. 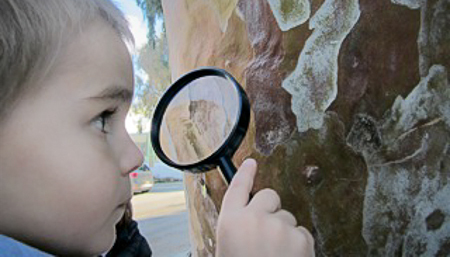 A great advantage of the Montessori system is that the materials are the same wherever you go and the lessons are individually tailored, so an English-speaking child can join the class at any time and continue in another English-language Montessori school anywhere in the world exactly where they left off.